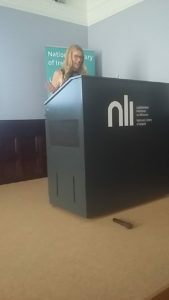 It was great to get the opportunity to speak on “Lucia Joyce – Dancer, Ah Sweet Dancer” on what would have been her 111th birthday at the National Library of Ireland. Thanks to all who turned out to mark this occasion. 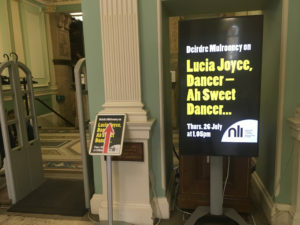 Though I didn’t count the number of people present, it far exceeded the three people who allegedly attended Lucia Joyce’s funeral in 1982 in Northampton. 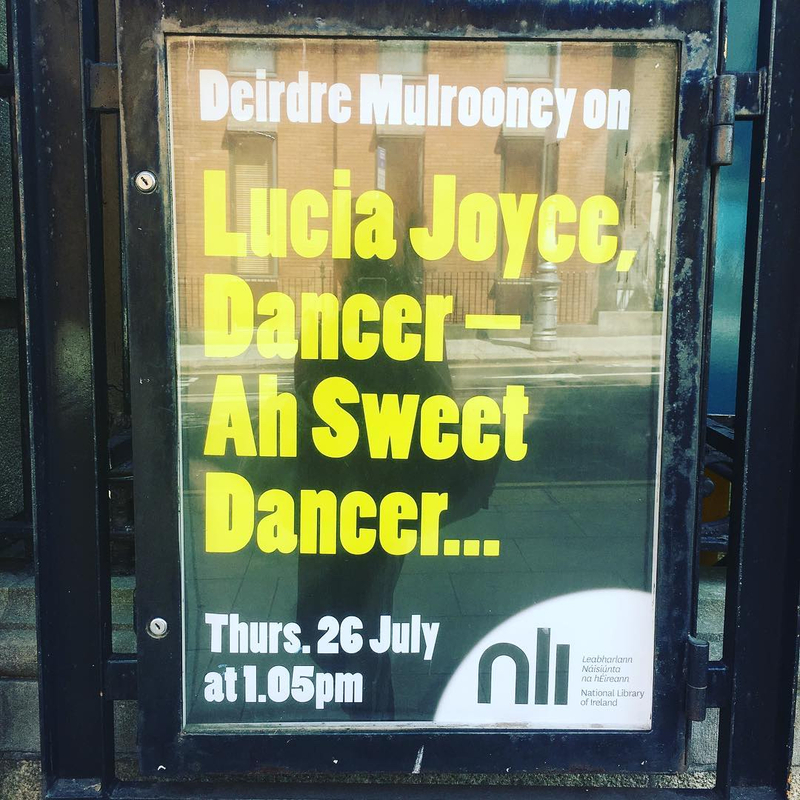 Restoring Lucia to her rightful place in Irish cultural history, as significant Modern Dancer in the history of the Art Form in Ireland is an ongoing project that I am very much dedicated to at the moment, so watch this space! 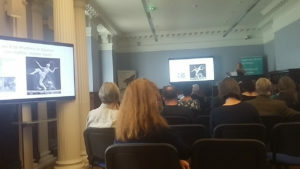 Thanks to Dr. Sandra Collins and to Brid O’Sullivan of NLI who kindly invited me to give this important talk on July 26th, as well as to everybody who attended and lent their energy and enthusiasm to the event.